Previously trading as Intoto Kitchens, our Amersham kitchen showroom has been welcoming customers through its doors since 2006. In 2015, we opened our second showroom in the heart of Marlow, and together, the two showrooms provide an excellent starting point for browsing real-life examples of kitchens, alongside a multitude of door styles, cabinetry options, appliances, worktops and accessories. Over the years, as a kitchen design specialist, Design A Space has acquired an excellent reputation for superb design and outstanding customer service. Whether your preference is a sleek, handle-less kitchen to suit a contemporary scheme, or a more cosy, traditional, in-frame kitchen, you’re sure to find a style to suit you. 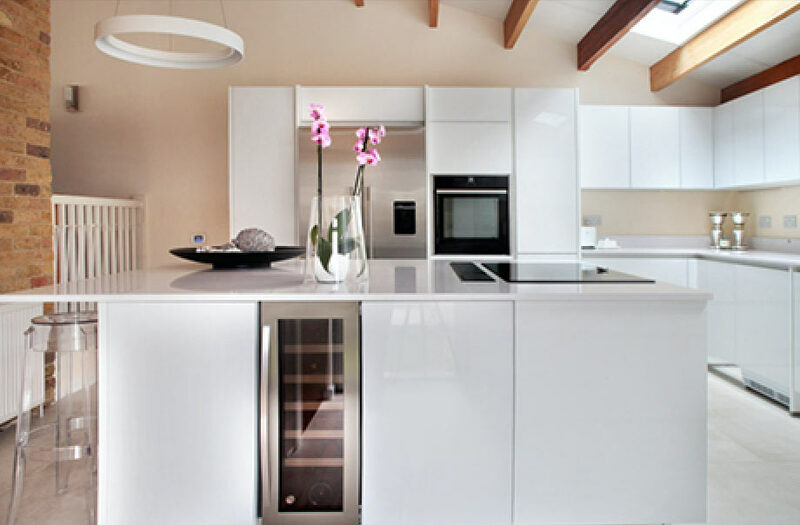 Our kitchens are all rigid-built, glued and dowelled, constructed to the high standards stipulated by our German and British manufacturers including Schuller, next125, Rempp, Mereway and Kesseler. 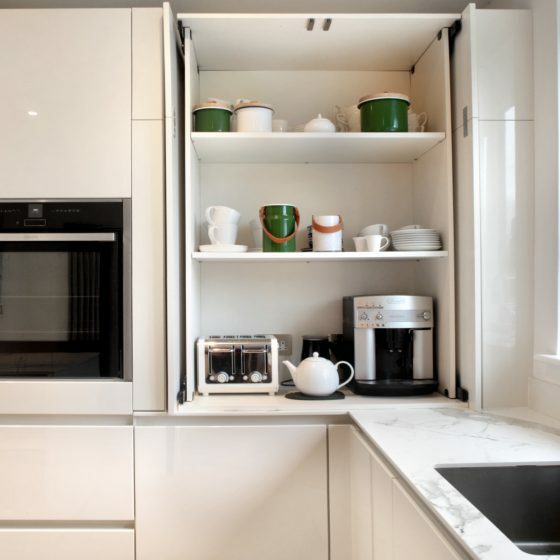 Don’t hesitate to drop in to chat with one of us over a coffee about the range of kitchens which we have available. Once we have determined that our quality products and vast array of kitchen door finishes suit your style preference and budget, we will be delighted to work with you on your kitchen design by means of our free design service. 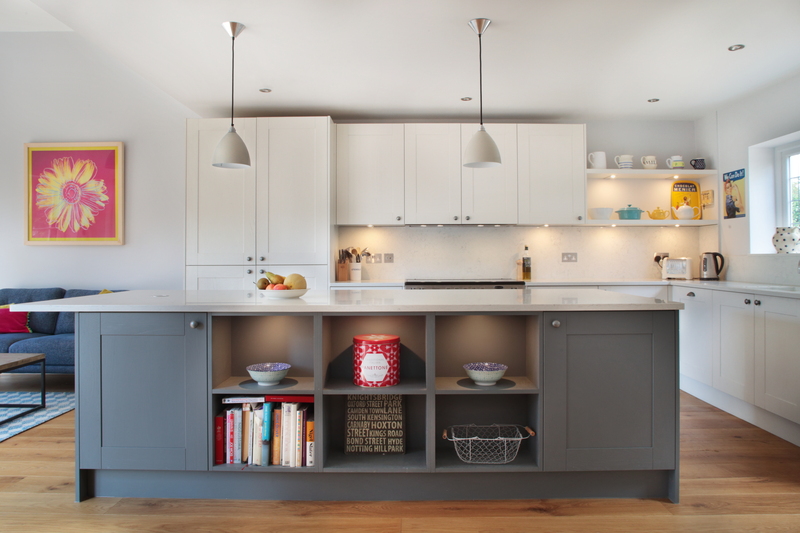 The first step in designing your new kitchen is a thorough initial consultation, usually in our showroom. During this consultation, we ask you lots of questions as to your kitchen needs and design preferences, within the context of your architect’s plans. If you are replacing an existing kitchen, you are very welcome to visit our showroom for this meeting, to allow us to look at lots of samples of our products, then we will follow up with a thorough survey of your existing space. Whether we are working from architect’s drawings or from our surveyed measurements, we make sure we fully understand your design needs and your space, before embarking on the design process. Within our kitchen design service, we offer up to three designs on a free-of-charge basis, with thorough quotations accompanying each of these. These three designs are ideally presented over three presentation meetings, which means that during each meeting, and as your needs and design preferences become clearer, your kitchen design can evolve to ensure the best end result. Each design will include life-like, 3D renders and scaled, annotated plans, which are available for you to look at as many times as you need in the showroom, and if you would like to purchase these, there is a £300 design fee which is chargeable, but this is refunded when you order your kitchen with us. 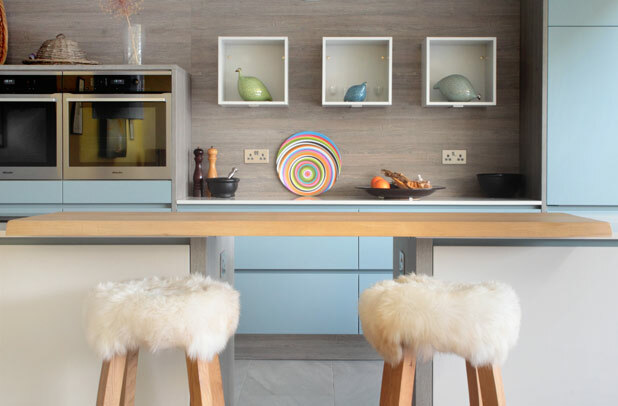 Many of our clients also ask us to design their utility room for them, as in our modern homes, having this secondary, very important ‘hidden’ back-up area has become a highly valued, additional working space, that works alongside the kitchen. 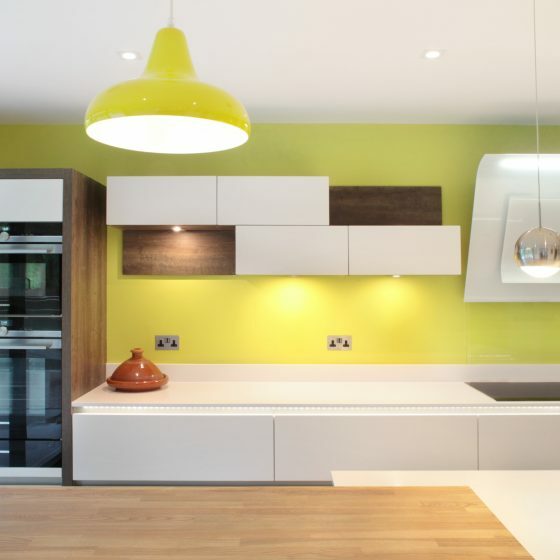 To aid in the smooth installation of our kitchens, we ensure that your designer carries out at least two surveys of your space, during different stages of the design and ordering process. Our designers are all experienced CAD technicians, and are ably supported by our manufacturers’ technical teams. Prior to installation, both our clients and their contractors will receive a very detailed, thorough set of technical drawings, including electrical and plumbing specifications, in accordance with the range of appliances included within the chosen kitchen design. Alongside the very careful and thorough design of your kitchen, an outstanding kitchen fitter is a must in bringing a new kitchen to fruition. 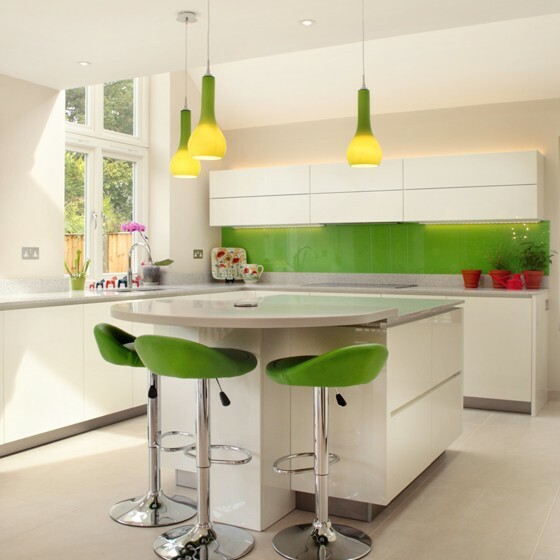 No matter how well a kitchen is designed, the benefit of an experienced kitchen fitter cannot be underestimated.